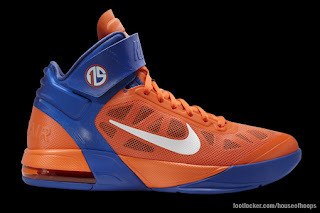 Nike Air Max Fly By Goes perfect because of its New York Knicks colors and has Stoudemire's signature logo embellished on the upper strap as an added bonus. You can find this one at your local House of Hoops retailer. 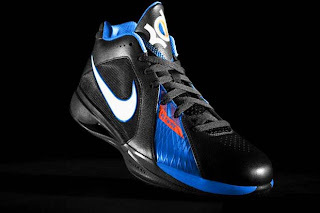 The Nike Zoom KD III, Although primarily black, the low top shoe has some orange and blue in its design and low in cost. Available at House of Hoops, Foot Locker, Niketown, and various other shoe retailers. The Nike Air Force 1 low “Year of the Rabbit” . 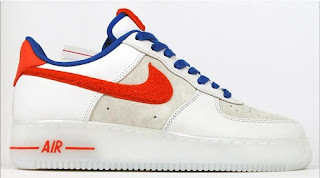 Although released on Jan 29th, quantities at retailers were suppose to be limited but in this kind of weather the demand for a low top air force one definitely isnt lol. Cop these, put em on ice, and pull 'em out in the spring or summer ! Interested in purchasing This Taster'Z Choice "Sun Beam" T-shirt ? http://tasterzchoice.bigcartel.com/ or Shoot us an email @ Noemimediagroup@gmail.com with your size and we'll get back to you with pricing info and what sizes we currently have available. New color ways and designs are coming soon !!! Hello world !!! We're back with our 2nd post of the day . As stated earlier, we're continuing our efforts to spread the word on Taster'Z Choice, our latest venture in the ever growing Noemi Media Group ! 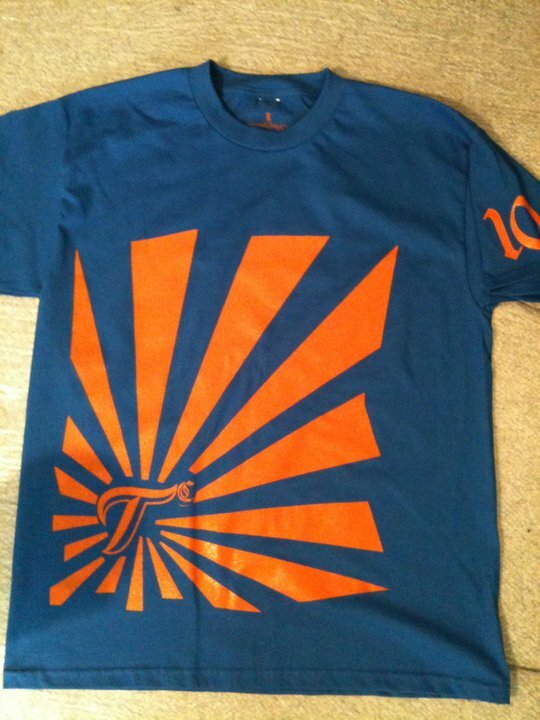 This design is actually our 2nd, but is very popular thus far with everyone that has seen it ! Several different colorways are planned for this particular design, that was inspired by the Bandana worn in the original "Karate Kid" movie. 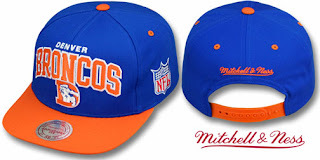 These colors were chosen kinda random, but are definitely easily paired with a Denver Broncos, New York Mets, or New York Knicks fitted cap !!! 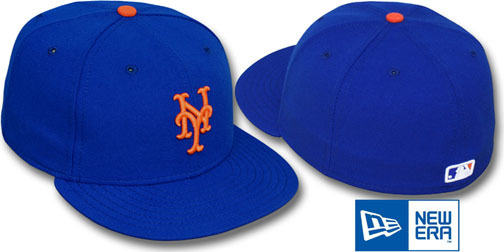 Let us kno your thoughts on it, do you like it, dont like it ? Give us your thoughts !!! Taster'Z Choice Info & Pics Coming soon !!! What exactly is Taster'z Choice ??? 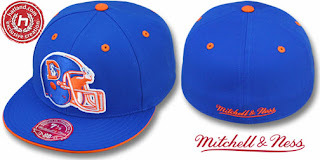 An idea Noemi Media Group Founders Tim "Tazo C" Collins & Maurice "Big Reese" Barnes came up with in 2010 after conversing about the growing desire to rock some clothing designs of their own. The two would talk about it everyday, what they would call it, and if they would try to sell their designs to the public as well. A name was needed first and foremost to start sketching ideas. Exquisite Taste came to mind, but that was already taken. That's when the name "Taster'Z Choice" was born !!! There are several designs in the works for this new venture birthed by the two best friends. Confident in their designs, they're posting some pics up this weekend to show their first two designs, right here on blvdave ! 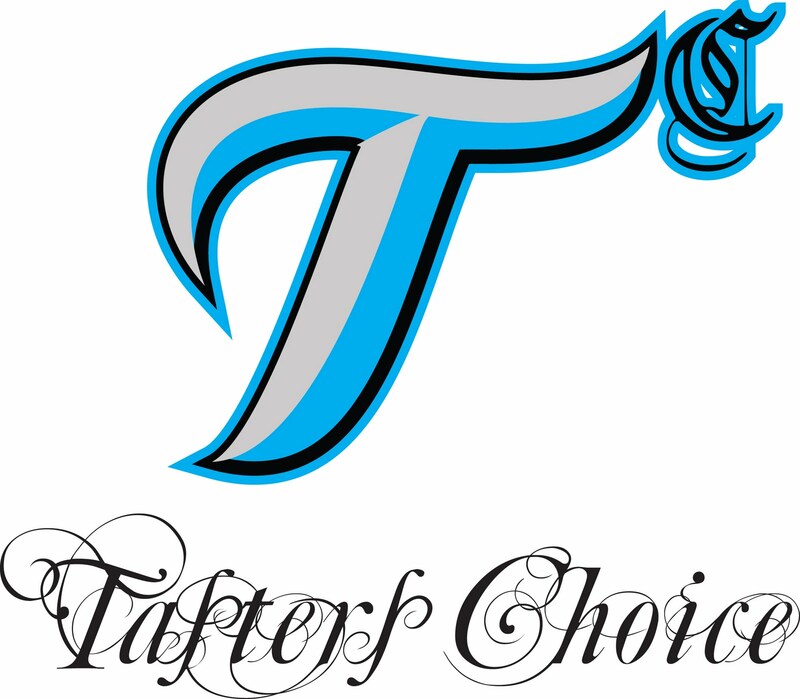 Official Launch for Taster'Z Choice this spring. Let's Get it !! !